Getting stakeholders aligned on key messaging and branding is much more easier said than done. It is certainly a challenge to put together a key message map (as an example, see this map from the University of Missouri Extension) and then to cascade it throughout an institution. the value of a messaging map. If you are thinking about how to approach a branding exercise within your group or institution, then you will certainly want to listen to this episode. At the conclusion of the interview, I discuss my new free Media Training for Academics mini-course which I will be delivering via Periscope. As VP of Strategic Marketing and Communications at Columbia College, Deborah Maue provides innovative leadership and strategic vision to the College’s marketing, branding and communications divisions. She has a significant role in the implementation of the College’s Strategic Action Plan and oversees staff across marketing, publications, creative, web and digital, and the news office. Prior to assuming her role with Columbia College earlier this year, she was with mStoner, the higher education marketing firm. Maue has more than 20 years of experience in consumer packaged goods and higher education marketing, including quantitative and qualitative market research, brand development, marketing strategy and marketing communications. 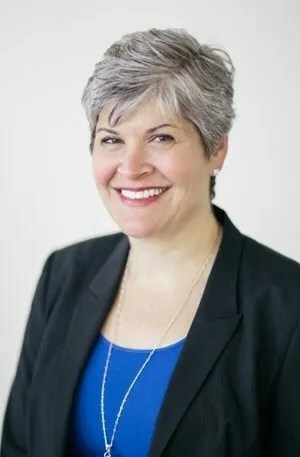 Prior to her position at mStoner, Maue led the higher education group at TRU, the global leader in teen and young adult insights, and spent seven years as the associate vice president for marketing strategy at DePaul University, where she led DePaul’s strategic branding and marketing efforts. Maue received her Bachelor of Science degree in marketing from Juniata College and an MBA in marketing and finance from the Kellogg Graduate School of Management at Northwestern University.